Looking at evidence from early photos is the only way to determine original specification – unless one is absolutely sure an extant car is ‘untouched’. The 1933 magazine reports on the 65 are ambiguous as they provide tantalising evidence of different early layout, but do not give all of the information required to judge. 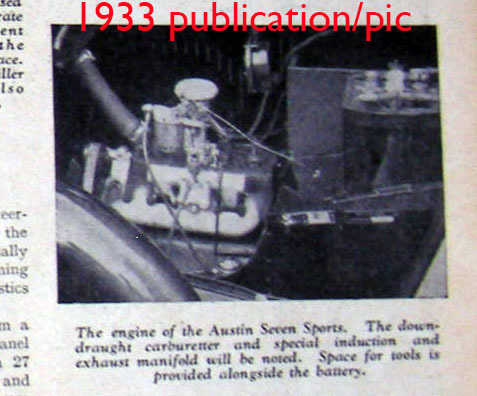 This December 1933 image clearly shows both battery cables exiting the battery toward the back of the dashboard… but ALE 578 may have been pre-production specification. 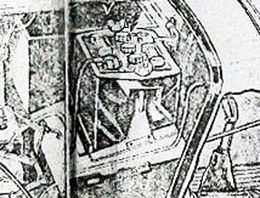 The June 1933 Autocar drawing below is derived from one of those early cars. 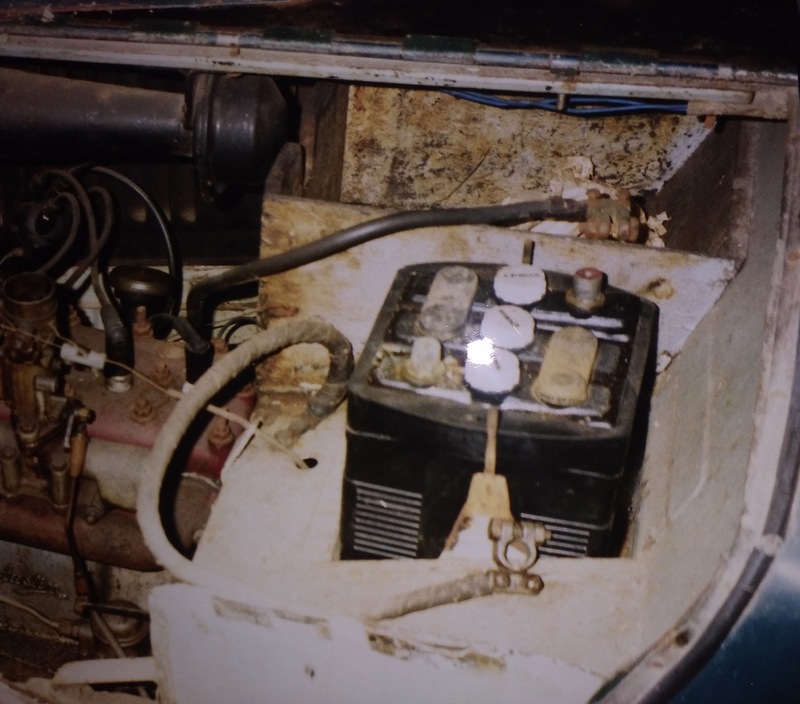 And yet it shows the cable from the frontmost terminal (probably NEG on these negative earth cars) coming forward, similar to the negative earth 1935 car in the following picture, which is earthed just in front of the battery. I’ve used the latter image because the battery retainers/battery box and battery type are still original in this 1980s picture. 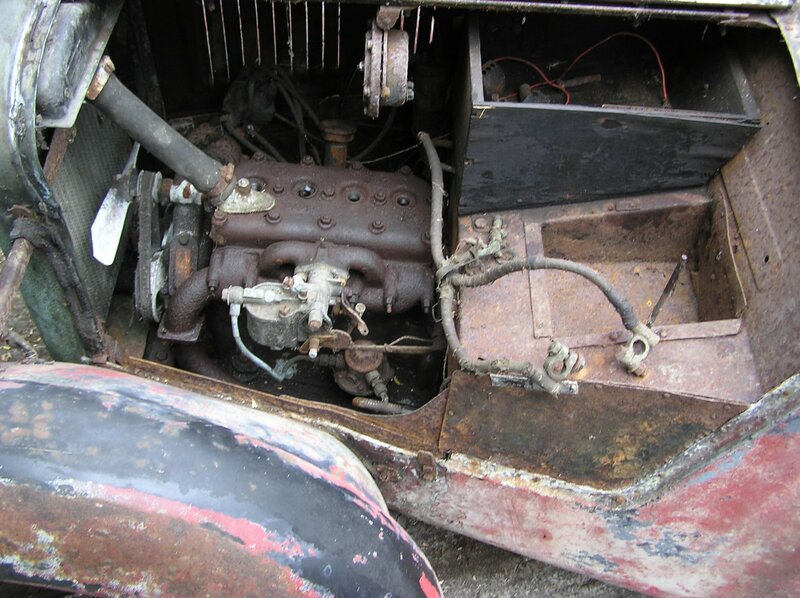 But if this hypothesis were correct, that would suggest that the battery cable to the starter in the [car informing the] 1933 drawing went either through the bulkhead and behind the dash, or through the toolbox on its route to the starter motor. 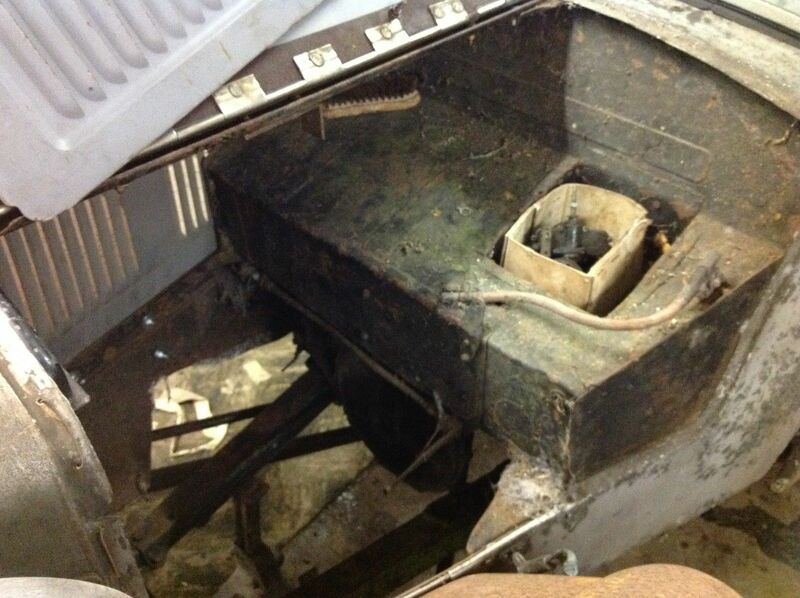 The only clear facts seems to be that the battery cells run across the car, at 90 degrees to the front-rear axis. This is contra-intuitive to the shape of the battery box which is longer in the car’s front-rear axis. Indeed, the original squarish Lucas batteries are actually placed with their longest dimension (i.e with the securing overhangs/lugs) across the shortest dimension of the battery box. Ian Williams suggests that it is unlikely Austin would have adopted anything which extended the run of the positive lead between battery and starter, when 6V voltage drop is such a consideration. So what hypotheses ARE viable, considering that the battery terminals have two potential positions in all these images. The swap to positive earth from chassis number 235000-ish suggests that the layout COULD be unchanged, if the battery were merely turned through 180 degrees. But could considerations like voltage drop have changed the specification since 1933? What thoughts do you have on the cable run for early cars? 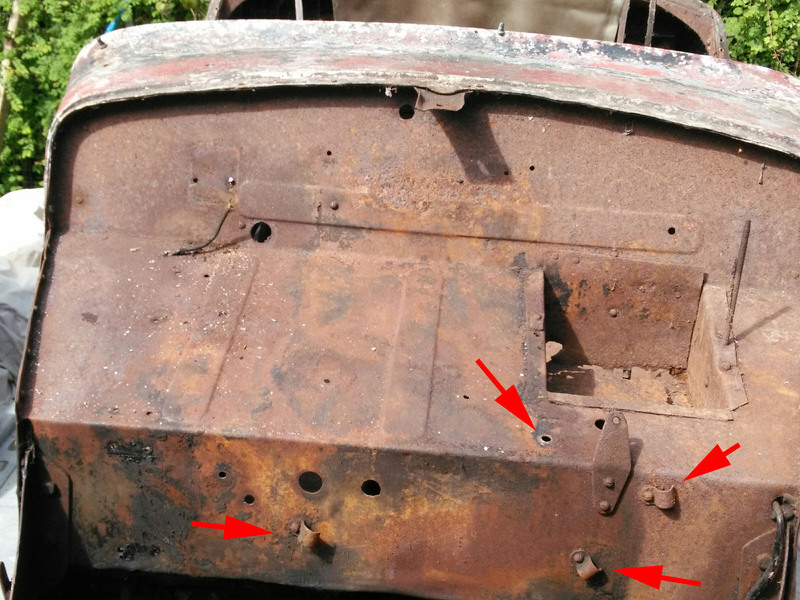 Can you identify original features in your own car which may confirm or deny evidence elsewhere? Design of cable terminals – what WAS original? 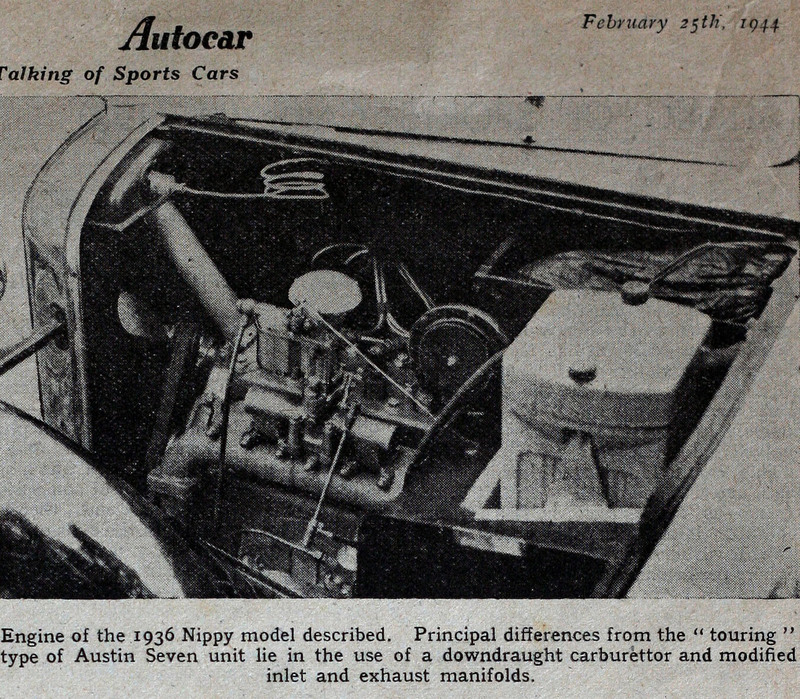 This 1944 Autocar image shows a 1936 car. We know from the report that various amendments have been done to the car since new and the battery cover also makes identification of cables difficult. But the securing brackets appear original. Its cable positions are enticing to consider, but perhaps nothing we can rely upon. 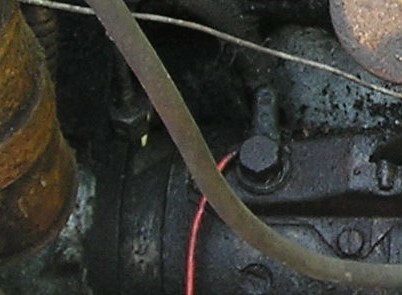 This car, 197901, has similar cover but on this one both cables appear to emerge from the front. 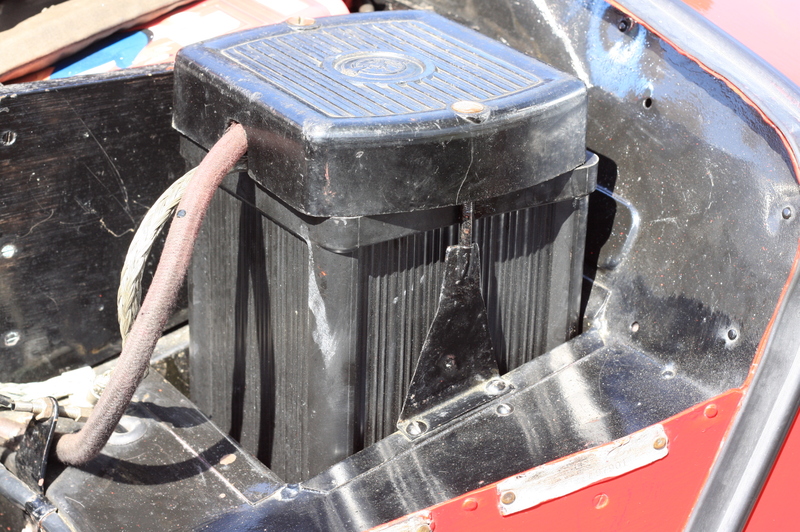 Again, original battery box and battery retainers. 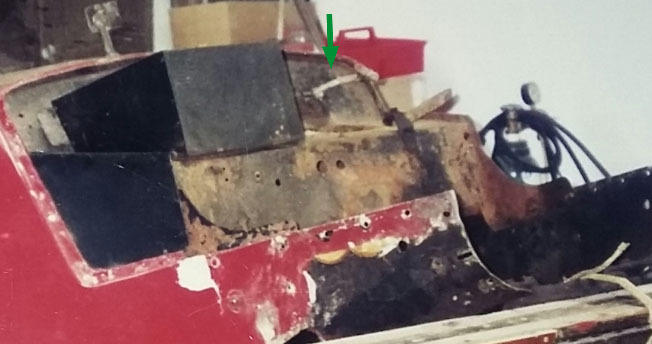 Looking at the 1933 drawing it seems to show the starter cable coming back from the battery to the bulkhead and then going across the car just above the tool box. Presumably it would have then gone down alongside the box to the starter. I don’t claim that the brass strip wrapped round the earth cable was the original type of terminal. This was probably how it was done originally, but I am not certain.